Hyman Reiver and Company, Inc. Comment: Cord snapped inside of blind. 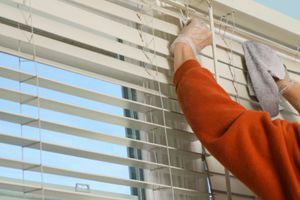 Comment: Some Hunter Douglas blind cords and condensers on pleated blinds need to be changed. Comment: I need vertical blinds installed on one sliding glass door in my rented townhouse. Wilmington Window Treatment & Covering Companies are rated 4.73 out of 5 based on 566 reviews of 18 pros. Not Looking for Window Coverings Contractors in Wilmington, DE?